Celebrate the end of the workweek with a piece that shows off your knitting skills. 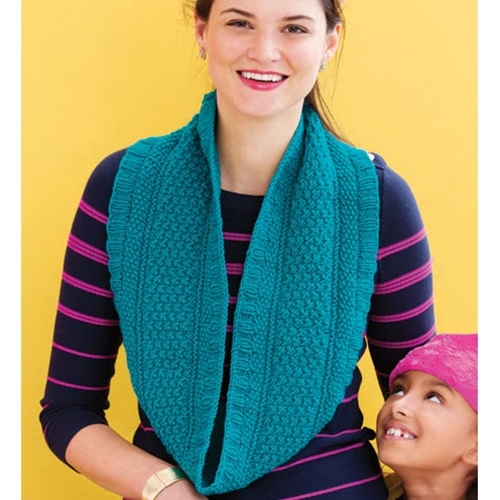 Worked in the round over 200 stitches, this beauty combines panels of garter, rib and seed stitch—all easy to work in knits and purls. 18 sts and 32 rnds to 4"/10cm over double seed stitch using larger needles.